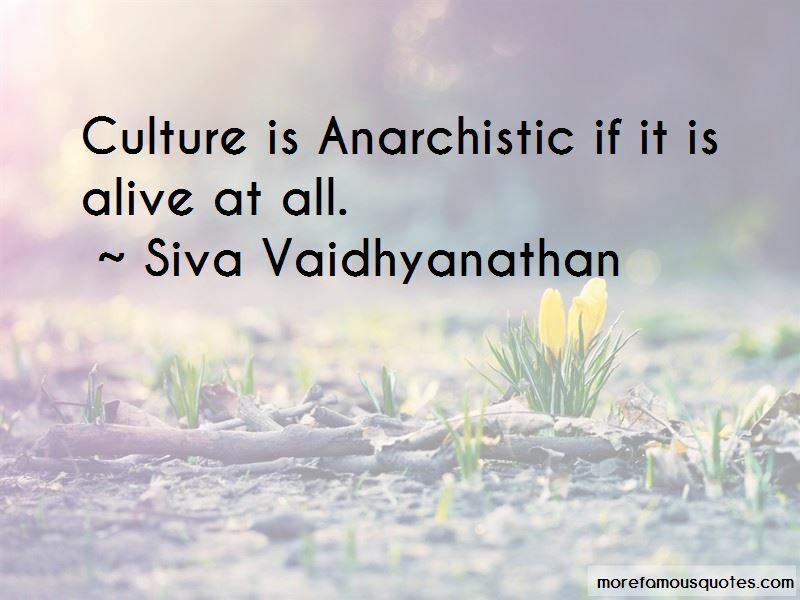 Enjoy the top 5 famous quotes, sayings and quotations by Siva Vaidhyanathan. Derived from the Greek word anarchos, "without authority," anarchism denies law and considers property to be tyranny. Anarchists believe that human corruption results when differences are enforced through the maintenance of property and authority. Anarchists do not oppose or deny governance as long as it exists without coercion and the threat of violence. They oppose and deny the authority of the centralized state and propose governance through collaboration, deliberation, consensus, and common coordination. Justice can emerge from a sense of common purpose and practices of mutual aid, not the monopoly on violence that the state demands. 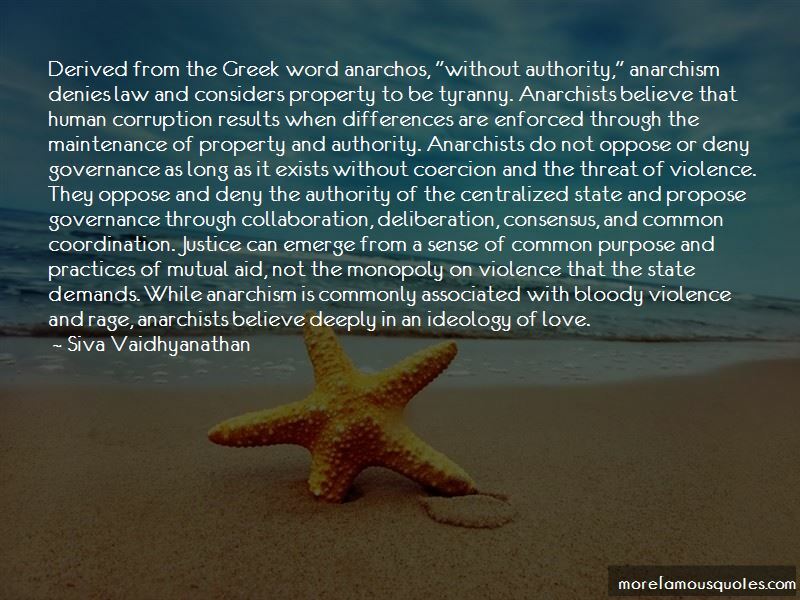 While anarchism is commonly associated with bloody violence and rage, anarchists believe deeply in an ideology of love. 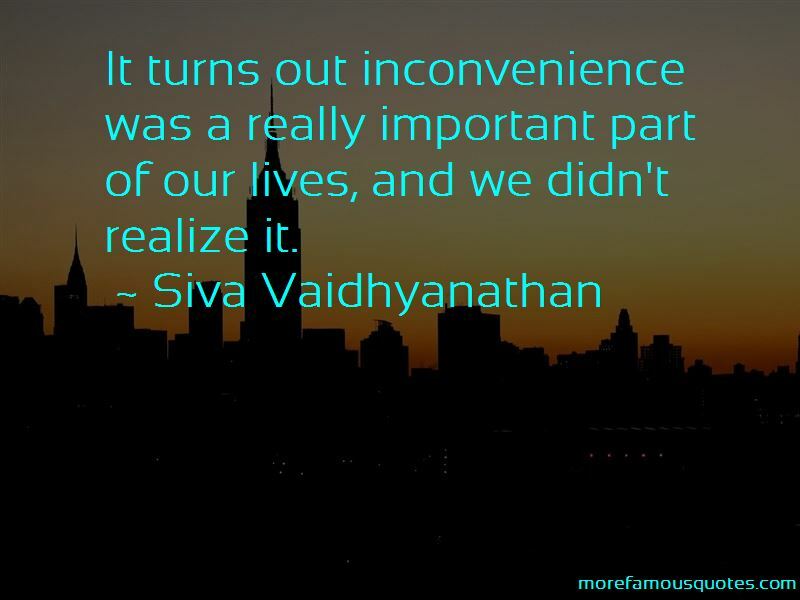 [T]he public library is where those without money, power, access, university affiliation, or advanced degrees can get information for free..
Want to see more pictures of Siva Vaidhyanathan quotes? 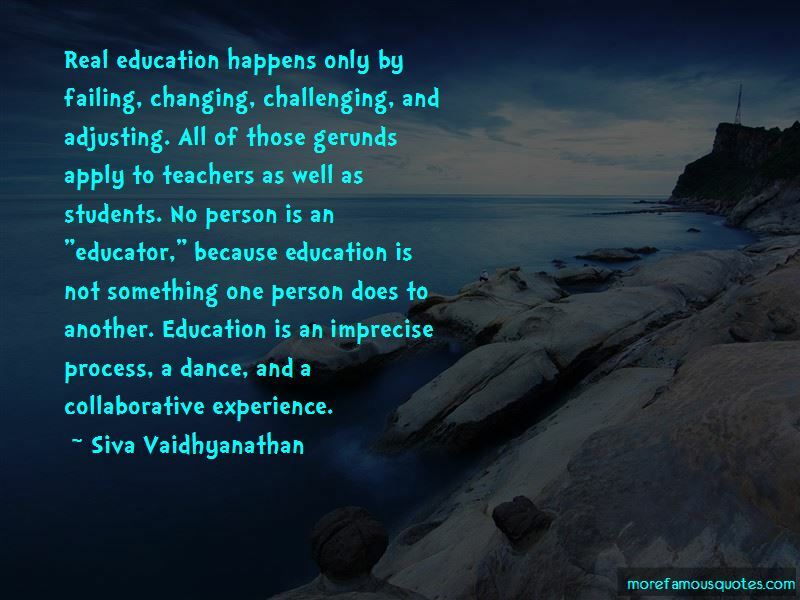 Click on image of Siva Vaidhyanathan quotes to view full size.